Coach Michael Odle, is a proud Fighting Farmer returning to his school to lead the next generation of Farmers onto the football field for LHS. Coach Odle was quarterback for the Farmers in 1996, when the team went all the way, winning the state championship. After coming on board in April 2017, Coach Odle recruited five coaches to join his staff, each of whom also played for Farmers football when they were younger. The coaches share the same vision for building strong relationships with their football players, administration, and the community. Coach Odle shared his great pride for Lewisville High School and it's surrounding community. 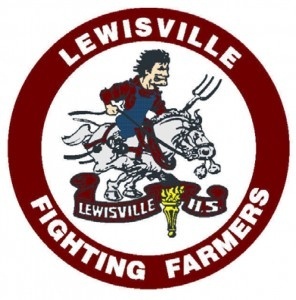 He wants to place that same pride for his community into his players, sharing with them the rich 120-year history of the Lewisville Fighting Farmers. He's ready to give back to the community that has given so much to him. He credits God for giving him the experiences and life lessons that will equip him to shape the next generation of Fighting Farmers. The coach shared some of the tragedies he dealt with when he was young and how those have equipped him to be relatable to the young men he coaches. Many of them face similar tragedies and challenges in their lives and he wants his whole coaching staff to be there for these young men as they learn about perseverance and determination, both on the field and off. Through these values, he seeks to instill into his team, a relentless, tuff, and disciplined attitude. Whether they are winning or loosing, they should be proud of their school, their community, and themselves. Coach Odle closed with some wisdom he frequently shares with his players with they face challenges in life or on the field: "Failure is fertilizer for future success!"